Property 11: Great location for the adventurous traveler! Property 15: Booby Duck Cottage, St. Lawrence Main Road. 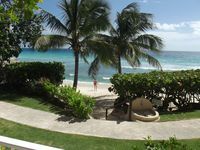 Property 46: Seaview 2 bed Condo within 2 minutes walk of Dover Beach. Condominium with pool and gardens, close to Dover beach. Perfect for families. Property 50: Condominium with pool and gardens, close to Dover beach. Perfect for families. Loved our stay here at St. Lawrence Gap . So much to do here and so many places to eat at. John was so helpful his place is a wonderful place to stay. Very spacious apartment with everything you would need just loved it and the view was out of this world..... just gorgeous!